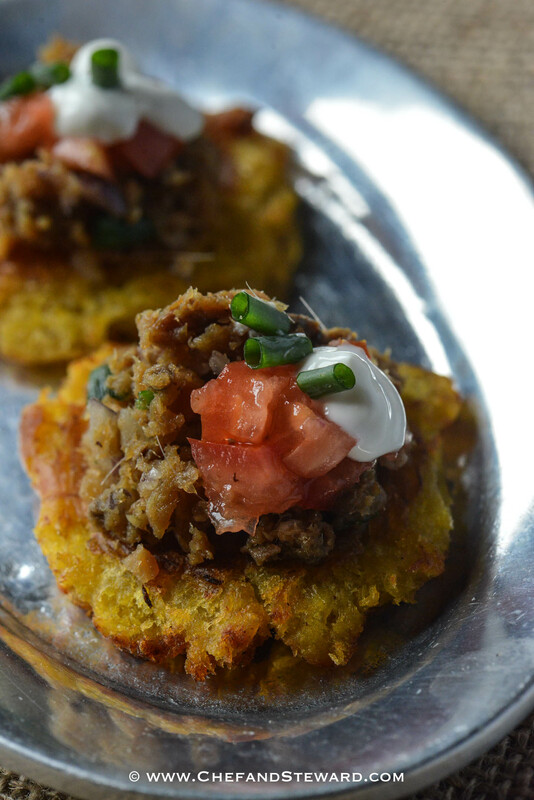 Two days ago, I blogged about how to make Tostones | Jamaican Pressed Green Plantains. What you do not know is that I have used them to create the most delicious party food. 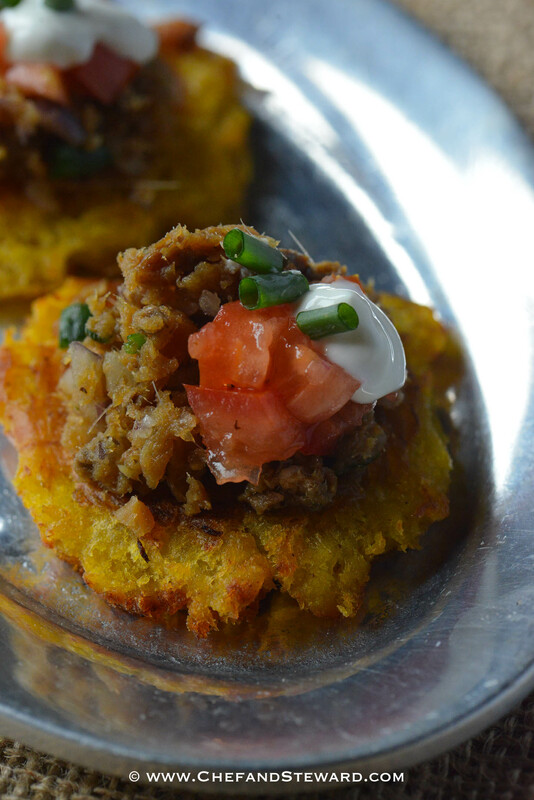 Enter the Best Ever Jamaican Solomon Gundy with Tostones Canape and this post as promised, contains all the deets for the best authentic Homemade Jamaican Solomon Gundy Recipe. But back to creating great party food. Entertaining at home does not have to break the bank but it requires a bit of planning and wise choices in ingredients and recipes. 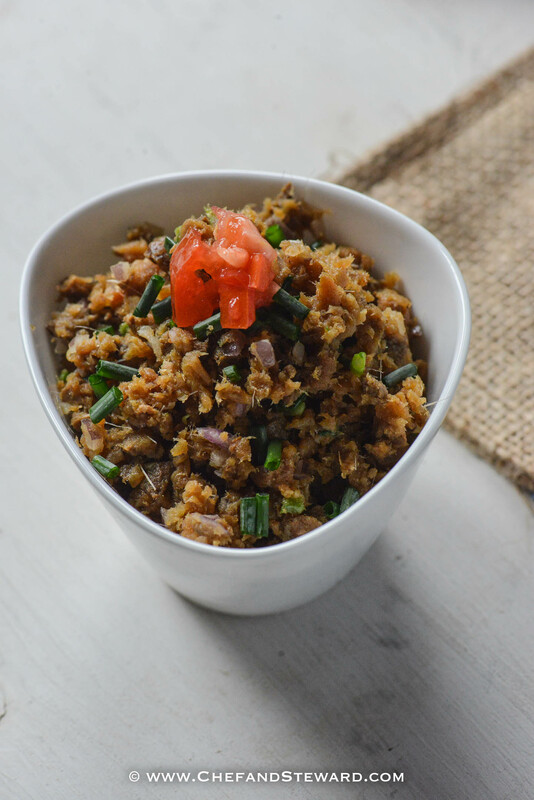 As a Jamaican food blogger, even though this not solely a Jamaican food blog per se, I have created lots of original authentic Jamaican recipes as well as original recipes inspired by Caribbean food heritage. I like to say that I am Jamaican, born bred and fed. So it you come to my house, even though I do not cook Jamaican or Caribbean food all day everyday, you will definitely taste the influences in the dishes I prepare. One way to note the influence, is that the food is delicious. Both Jamaican and Caribbean food are comprised of dishes that are FULL of flavour. We are not ones for blank and bleak We are robust, colourful and vibrant in how we live, see life, talk, sing, dance, cook and eat! Our dishes tend to do the same magical wonders in the palate, tummy and for the mood. It makes you happy. Hungry yet? Well definitely add this to your party food menu this holiday and entertaining season. Infact, all ingredients are available year-round so it can be a quick go-to when you have company or for a family snack. Kids love both the Jamaican Pressed Green Plantains as well as the Solomon Gundy. You can buy store bought but homemade is so much better, fun and way cheaper! Plus this is something that young kids can help with and teens can make on their own! Rinse herring, breaking it into large pieces then place in a bowl with fresh water and let sit for at least 30 minutes--1 hour. If using food processor, add all ingredients without the garnish and pulse until fine but with texture. Do not turn into a paste! If using hand, finely chop the herring as small as possible but leave some chunks. Then add the other seasonings except the garnish. 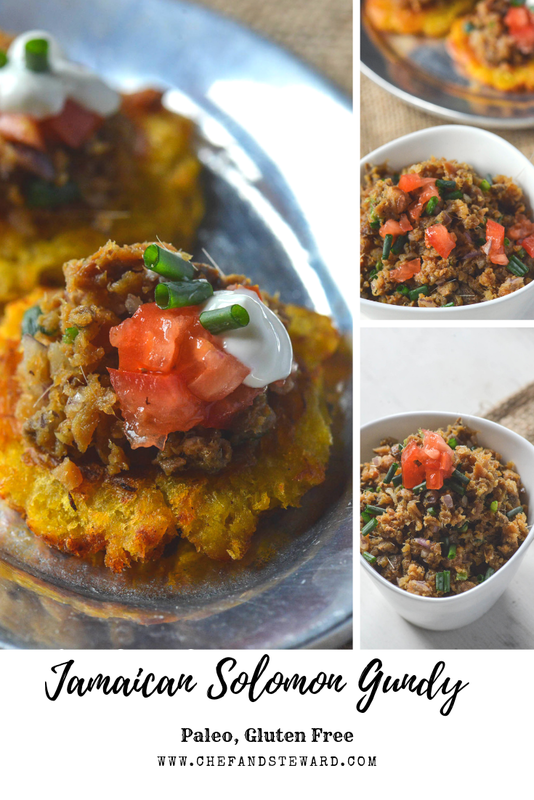 Serve with tostones or Jamaican Pressed green plantains and eat! This sound delicious, and I just love Caribbean food. I love how you describe your people, it’s exactly how I picture you! It is bursting with flavors. As are we. Thank you so much! We are generally a jolly bunch! WOW there is A LOT of flavours on this plate. What an interesting combination of textures and spices. Caribbean food is so delicious. I would love to give this recipe a try, I know hubby would love it too. Go right ahead Gloria! It is an amazing blend of flavours too! Let me know how hubby likes it. What a beautiful dish and you can describe a dish like no other! Sandra, thank you ever so much love. I just love coming up with original recipes. It really excites me. Karyl, it could be that you know it by a different name. That happens a lot in the Caribbean. I had showed the images to a friend from the UK via Trinidad and he recognized it. It is one of the old dishes and because smoked herrings have a strong flavour, not all like and cook it anymore. Back in the day it was a very cost effective protein and massive flavour enhancer to lots of dishes. This takes me back to our vacation to the Caribbean. How fun is it that I can make this and feel like we are on a little vacation at home. Thanks for sharing! I love Caribbean food but not sure I can get my kids to eat it but will sure try now with this recipe! Michelle, try the tostones and put fresh salsa on top. I have a recipe for Reggae salsa. Smoked herring is a very robust flavour so if they are not into intense flavors, leave that for a bit. 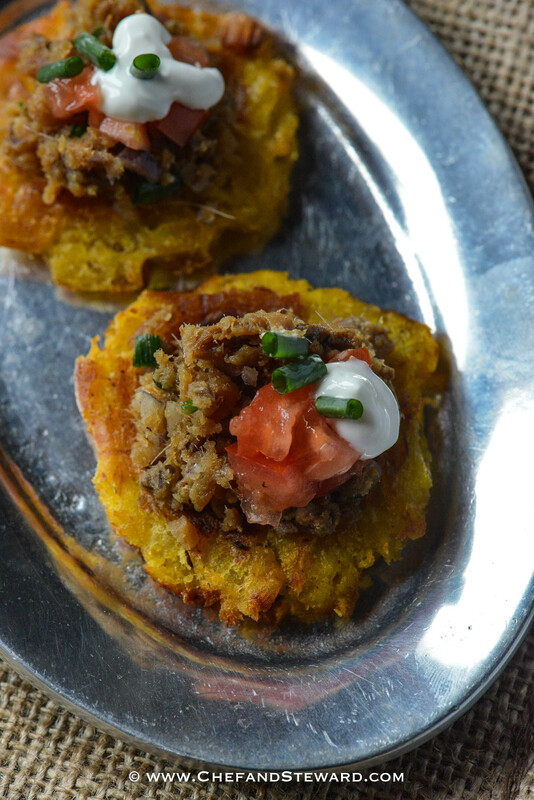 Tostones are one of my favorite treats they go well with almost anything. This is a lovely appetizer perfect for upcoming celebrations. Caribbean food is awesome. Adriana, every time I look on these pics I wish I had green plantains in my kitchen! I just adore them. Hopefully my kid will join the plantain celebration. He is not fond of neither green nor ripe. (Culinary atrocity in a Caribbean context). These look soooo delicious! 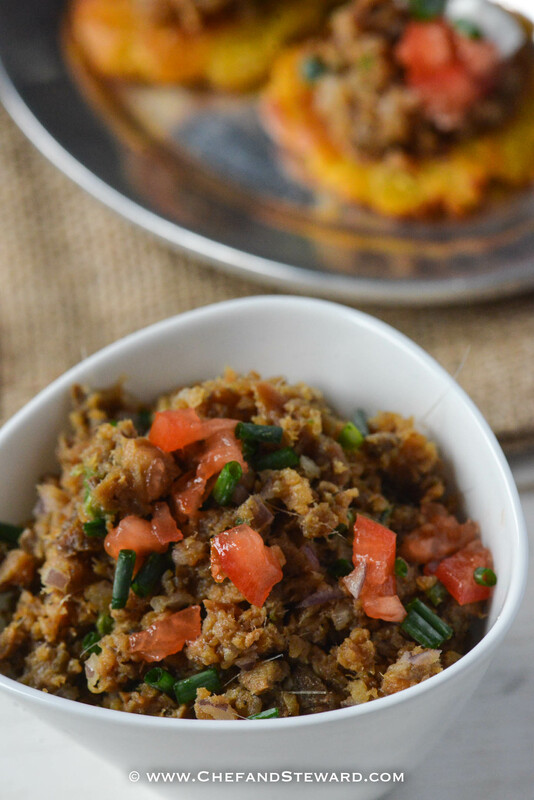 Now I’m going to have to track down the ingredients… not sure I’ve seen green plaintains, but I’m hoping I can find them so I can make this! Please do and let me know how it goes! I’ve never tried or seen this dish before but this sounds very interesting and tasty! Love how you incorporate herring with habanero to add extra kick. Definitely something I need to try soon. I visited Jamaica for the first time this year and fell in love — especially with the food! This recipe looks like the perfect way to take me back. Can’t wait to make this. Amanda, I am so happy to hear you visited my home country… and that you fell in love with it AND the food! Lots of recipes that will take you back on this blog for sure! I love the sound of your Caribbean and Jamaican food! 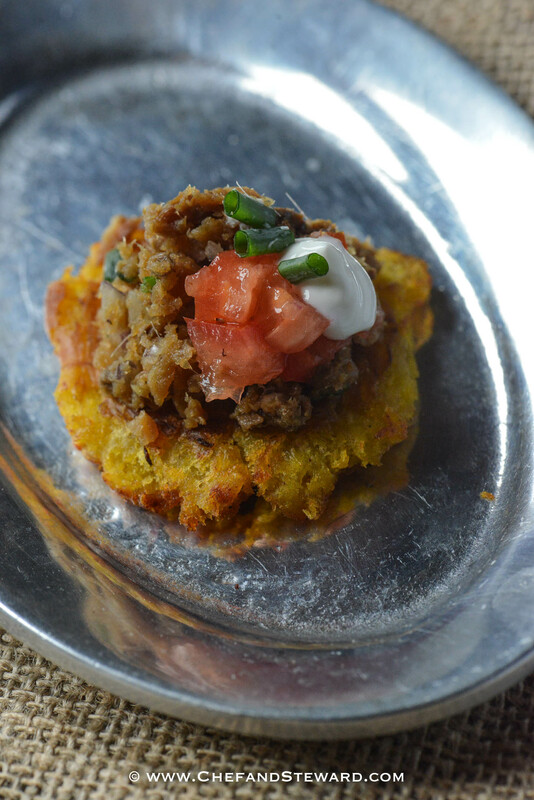 I have actually never eaten it but this recipe is one I could try, apart from the tostones. It’s hard to find plantain here in Italy! Jacqueline, you may be able to find in African markets or Indian markets there. Yes, all the layers of flavour come together great in this recipe. You are speaking my love language with this fish I used to eat Solomon with eggs in Haiti. 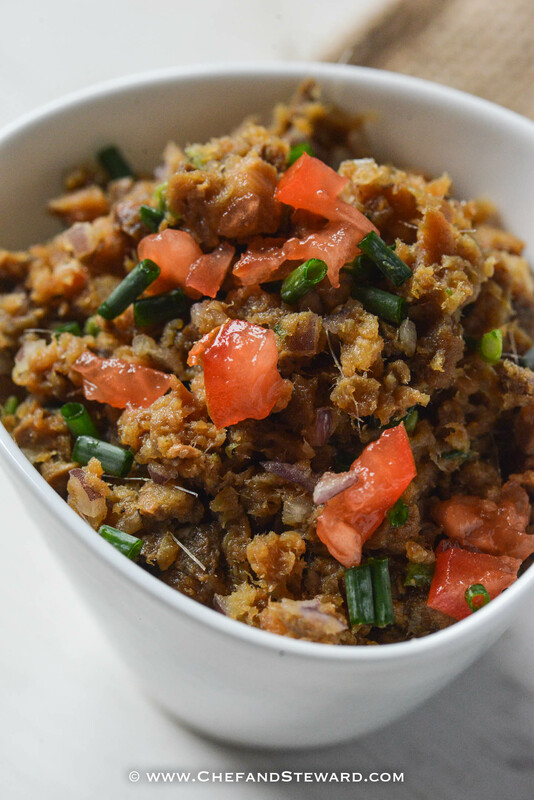 It’s a great combination with plantains. Mimi, Solomon Gundy with eggs sounds like the bomb! Thanks so much for sharing that. That is like eggs and cheap caviar for real! Mireille, you make me laugh. Yes, it is one of those really love or completely despise foods! The name tostones is indeed from Latin Americas but we call the same thing by a different name (and presentation) Pressed Green Plantains. We are quite literal in Jamaica with naming people, places and food sometimes, lol. This sounds wonderful! I’ve never had anything like it! It is definitely a lot of very rich flavours creating a harmonious experience on the palate! This recipe does look like the perfect party food! I’ve never tried something like this before but it looks so delicious!